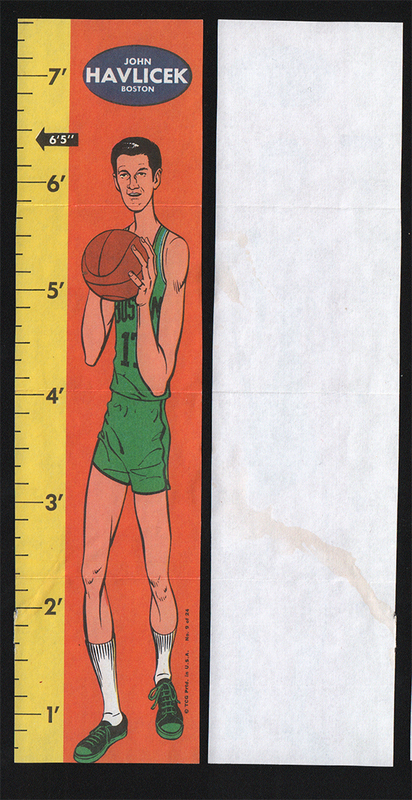 The 1969-70 Topps Basketball Ruler Insert Set features caricatures of 23 players. 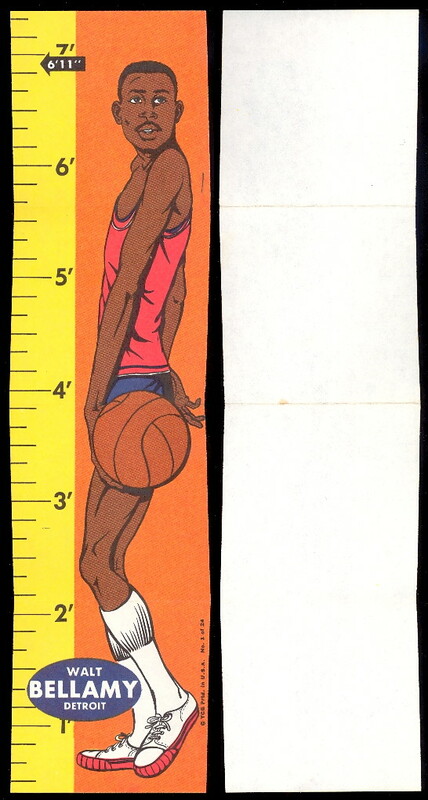 They measure 2-1/2" by 9-7/8". 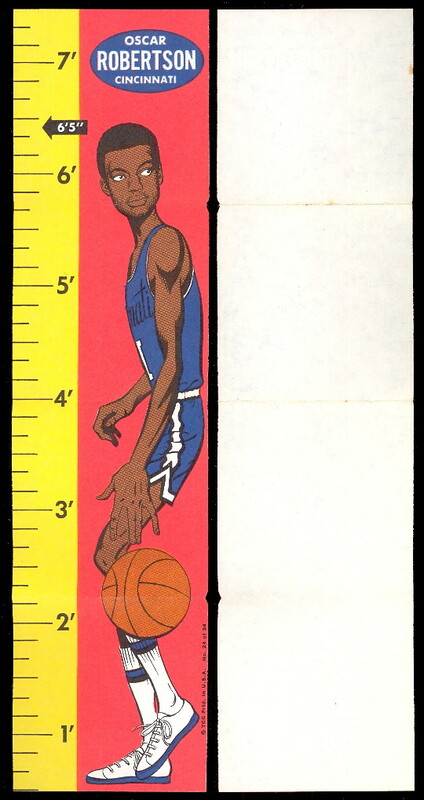 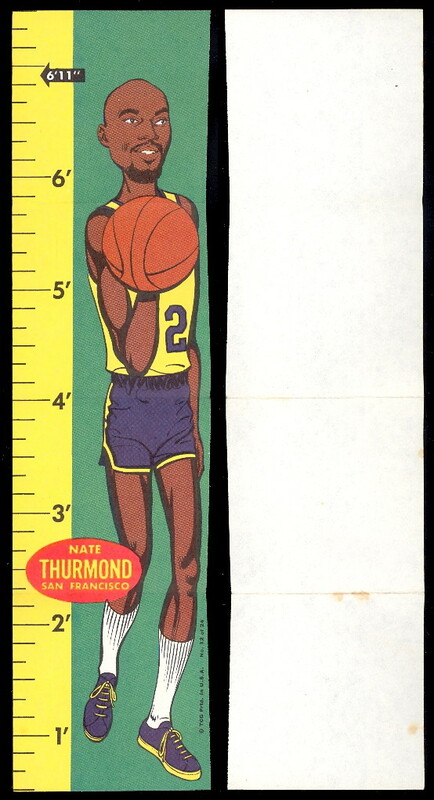 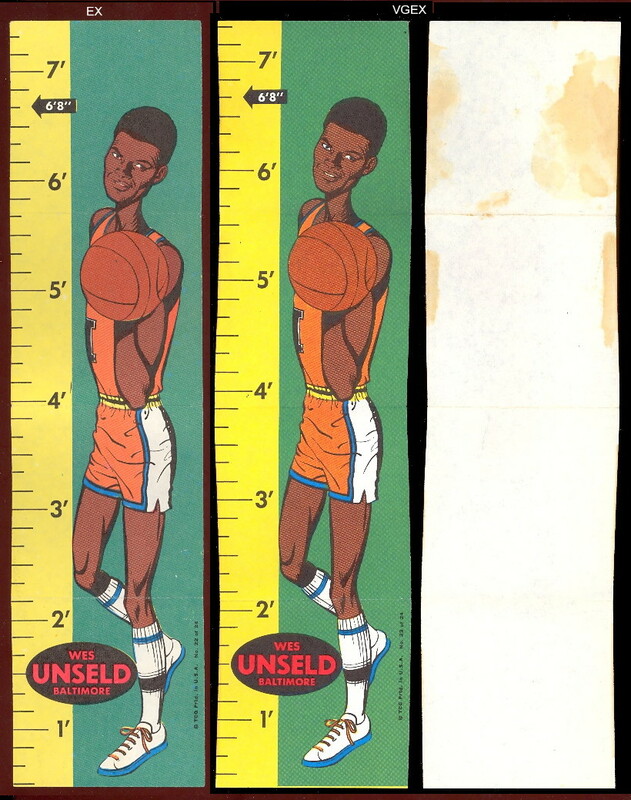 Each of Insert has a players caricature to the right of a ruler design and highlights the player's height, #5 was never issued. 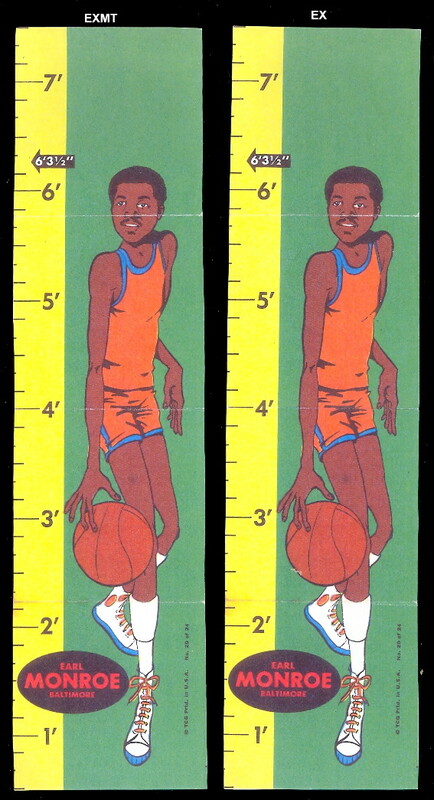 The backs of these inserts are blank. 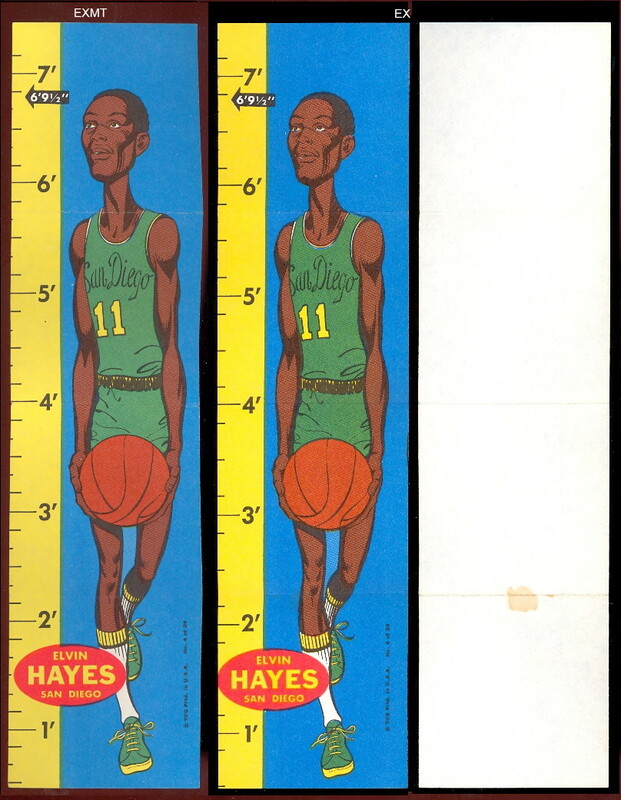 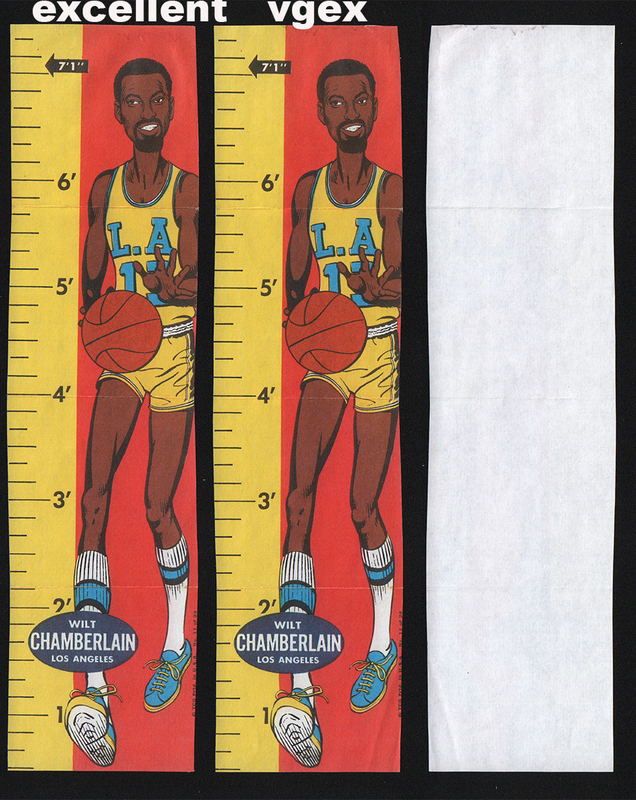 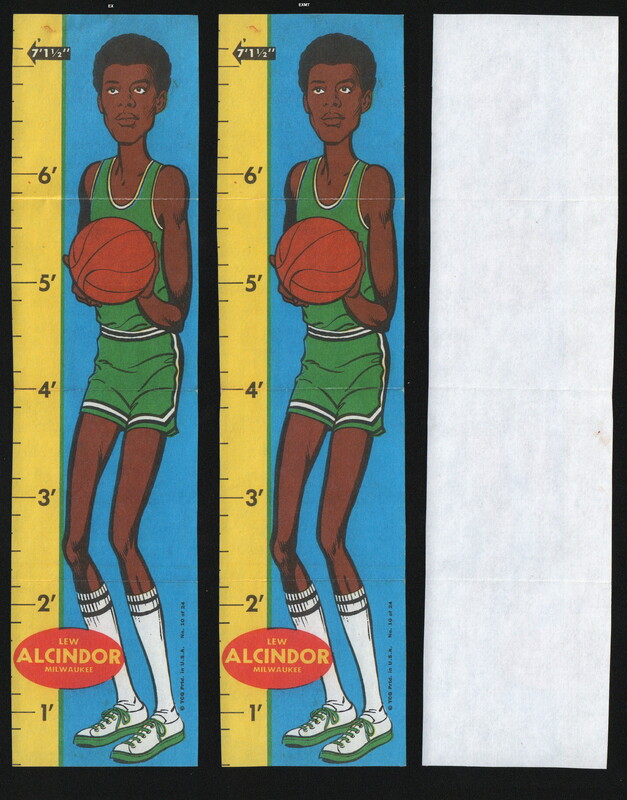 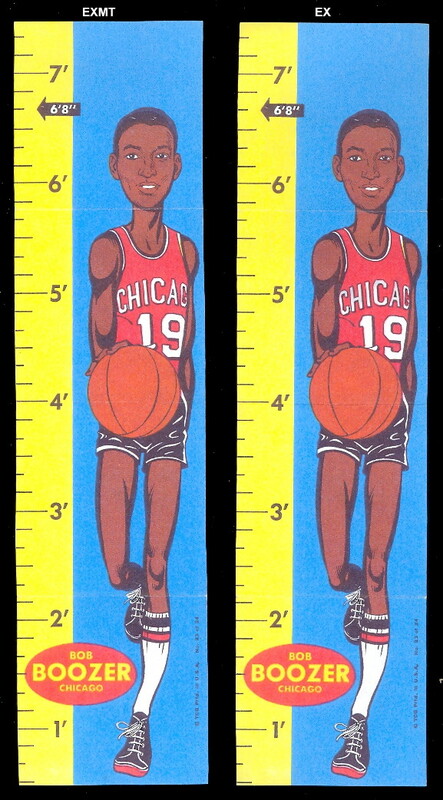 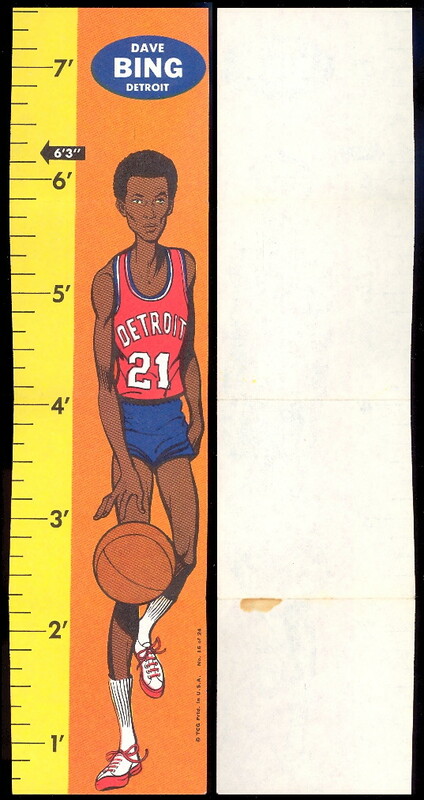 One "ruler" was included in each 10-card, 10-cent pack of the regular 1969-70 Topps Basketball cards.